Christine de Bruin had been representing the University of Alberta in track and field for two years when she decided she was ready to stop competing. After hearing this, her coach convinced her to go to Calgary to try bobsleigh. He told her that her chances to make the national team in track were small, but her chances of going to the Olympics for bobsleigh were great. She soon made the development team as a brakeman, immediately taking a leave from school. A year and a half in, she was redirected from the path of being a World Cup brakeman to a development pilot. Doubting this decision at first, she got all the confidence she needed when she finished fourth in her first North American Cup race in March 2013, less than two months after she started driving. In November 2015, Christine won three North American Cup races in a row. It was especially satisfying coming off a year when she was hindered by a bulged disc in her back. 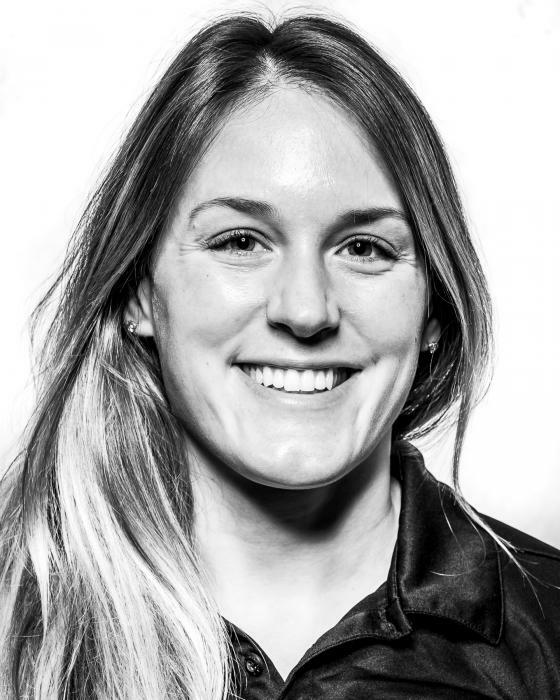 Christine made her World Cup debut as a pilot in December 2016 in Whistler. She finished a career-best sixth in November 2017 in Lake Placid with Cynthia Appiah. Her career development into a world-class pilot went to a whole new level in 2018 when she qualified to represent Canada at Olympic Winter Games in PyeongChang, Korea. Christine teamed up with Melissa Lotholz to an impressive seventh-place finish in their Olympic debut. Constantly pushing to stronger, faster and a better pilot, Christine accomplished another first in the post-Olympic year where she drove to her first World Cup podium with Kristen Bujnowski. The two Canucks captured the world’s attention again with a silver-medal finish at a World Cup stop in Altenberg.